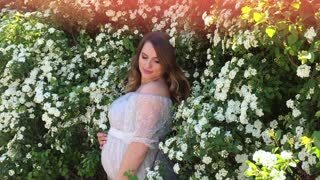 Happy young pregnant woman in a beautiful dress smiling. A woman waiting for a child. The concept of tenderness pregnancy and motherhood. 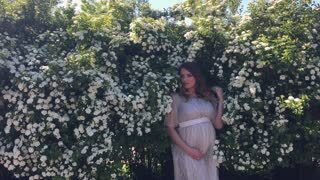 Happy young pregnant woman in a beautiful dress smiling in a park. A woman waiting for a child. The concept of tenderness pregnancy and motherhood.